A true family affair, My Way Home is a single song performed by Dr. Gordon. It was composed by his brother-in-law, Eric Neff, who plays guitar on the recording. Dr Gordon provides vocals, harmonies and plays the autoharp. The CD cover artwork is by Britt Gordon Blasdell, Dr. Gordon’s daughter. You’ve heard the expression: “you can never go home.” There is nothing further from the truth. where we have come—on our way back home. and surrender to the peace that comes from within. 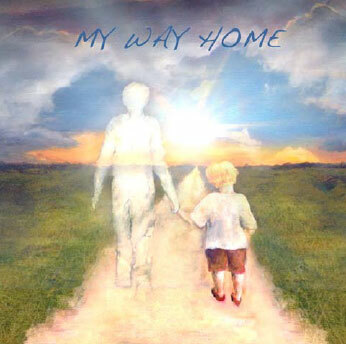 My Way Home will touch your heart, vibrating within you an unforgettable resonance.